St. Francis Xavier, missionary, saint, and eponym! Continuing the Family History Through the Alphabet series… X is for Xavier. While Xavier as a first name has gained popularity in the last decade or two, for centuries it was used as a middle name combined with Francis. Why? The first-middle name combination of “Francis Xavier” comes from the man first known to use it, St. Francis Xavier. 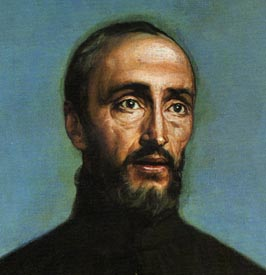 Francis Xavier was a Catholic missionary priest and co-founder of the Jesuits who lived from 1506 to 1552. Although he was born Francisco de Jasso y Azpilicueta in Navarre (present-day Spain), he came to be called Francisco Xavier because of his family castle named Xavier (or Javier, or Xabier). The name is derived from the Basque word etxaberri, which means “new house.” While studying in Paris, Francis met Ignatius Loyola – they and five others founded the Society of Jesus, more commonly known as “Jesuits,” in 1534. He was ordained a priest three years later. He is remembered for his years as a missionary in India, Indonesia, and Japan where he brought Christianity to thousands. It is not uncommon for a surname to become a given name, but what I find amazing is the widespread use of “Francis Xavier” together. The name “Francis” was always popular, and many men (or women) named Francis (or Frances) might be named after another popular Catholic saint, St. Francis Assisi. As popular as St. Francis of Assisi is, however, I’ve never seen “Assisi” – another place-name “surname” – used as a middle name. Likewise, I have many men named “Ignatius” in my family tree in either the German form of Ignaz or the Polish form of Ignacy – but none of these use “Loyola” as a middle name which would imply they were named after St. Ignatius Loyola. St. Francis Xavier, however, seems to have something rather unique about him in that both of his names are often used together. This would make more sense if perhaps the names were popular in either his home country, present day Spain, or in the countries where he ministered like India. 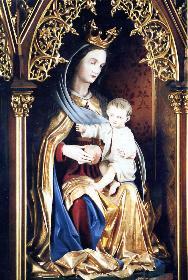 Many names gain popularity in certain areas due to a local saint with the name. But the names “Francis Xavier” seem to be popular worldwide. The name combination appears as Francisco Javier in Spanish-speaking countries, Francesco Saverio in Italy, Francisco Xavier in Portugal, François Xavier in France, Franciszek Ksawery in Poland, and Franz Xaver in Germany. A little over two hundred years after St. Francis Xavier lived, his names were used in my family in Bavaria. Franz Xaver Gürtner, my 4th great-grandfather, was born on 04 September 1781 in Reichertshofen, Bavaria. His daughter, Barbara, would grow up to marry Franz Xaver Fischer (born 06 October 1813 in Agelsberg, Bavaria) in 1841. 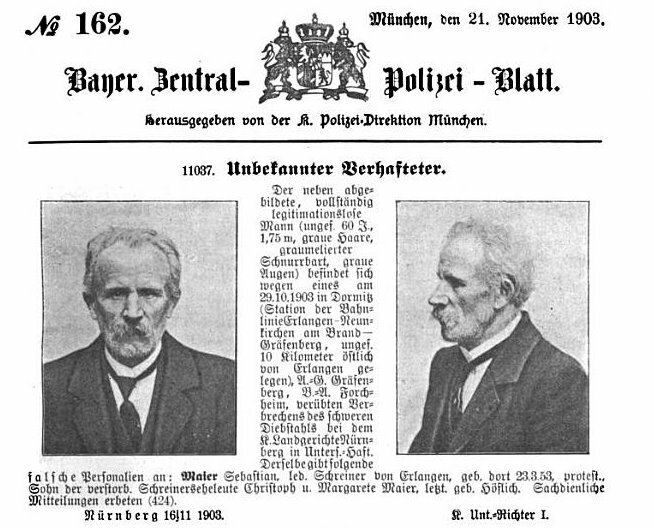 Both men are found in records listed by both “Franz Xaver” or “Fr. Xaver” as well as by just “Xaver.” In German, the name is pronounced as Ksaber. Another Bavarian 4th great-grandfather, Ignaz Echerer (born 26 July 1765 in Pfaffenhofen an der Ilm, Bavaria), had a brother named Franz Xaver Echerer. Although St. Francis Xavier traveled around the world, as far as I can tell he never visited Germany – yet his name is very popular throughout the country centuries later. St. Francis Xavier had a big impact on the world, especially in the countries he worked like India. However, his name had an even bigger impact in my opinion. I even have a distant cousin living today with the name Francis Xavier. Xavier is one of the only English names beginning with “X” so it stands out as unique despite the centuries of other men named F.X. How many Francis Xaviers (or just plain Xavier) are in your family tree? 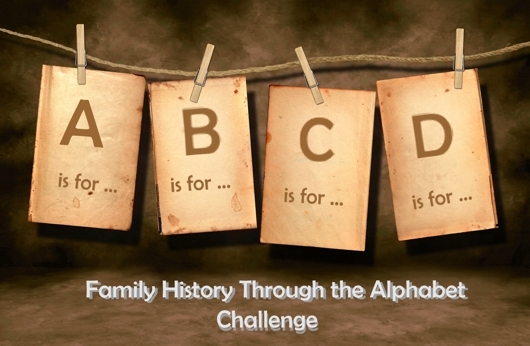 Continuing the Family History through the Alphabet Challenge… B is for Bavaria (or Bayern in German). I’ve occasionally been asked why I identify myself as having Polish and Bavarian ancestry instead of Polish and German. Germany was unified as a nation in 1871, a mere 2 years before my great-grandfather was born and 4 years before my great-grandmother was born. They were born in the Kingdom of Bavaria, a state within the German Empire. So yes, my great-grandparents were born in Germany. But the roots of their ancestry are Bavarian! For hundreds of years their ancestors lived in Bavaria – not a small part of a German nation, but an indpendent nation of its own. I like to describe how my ancestors’ Bavaria relates to Germany by comparing it to how the state of Texas relates to the rest of the United States. Like the southern state, Bavaria covers a large area, they “talk funny” and use different colloquial expressions, they want to secede from the union, they have many strange local traditions, and they are fiercely proud of their heritage. Oh, and they’re very friendly, too! 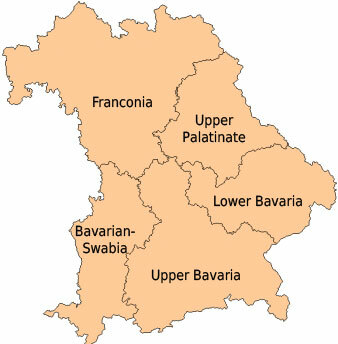 Bavaria as a political region has roots back to the late 5th Century when it was recognized as a Duchy. 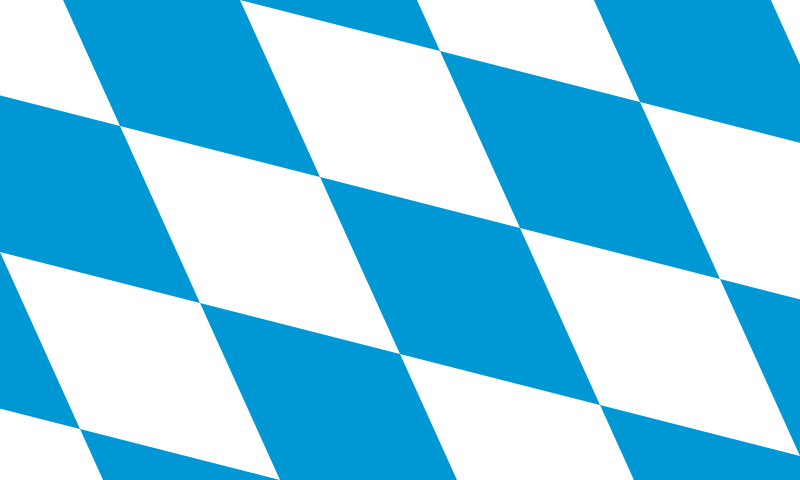 In the 17th and 18th centuries the area was known as the Electorate of Bavaria. Then, in 1806, Napoleon abolished the Holy Roman Empire and Bavaria became the Kingdom of Bavaria. Even when Bavaria became a part of the newly formed German Empire in 1871, it still retained its name of “Kingdom” and had some special rights within the Empire such as its own Army, postal service, and railways. 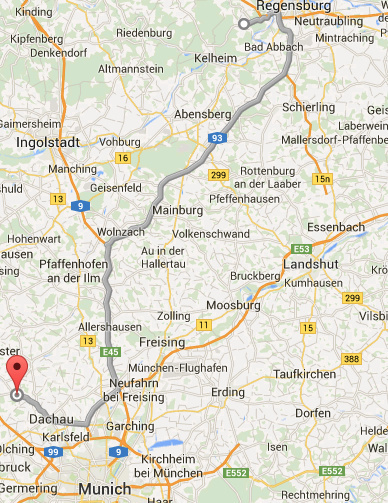 Throughout Bavaria’s history, it’s borders changed somewhat. It even once included Tirol, now in Austria, and Südtirol, now in northern Italy. My ancestors mostly lived in the part of Bavaria known as “Upper Bavaria” or Oberbayern. Upper Bavaria is the southern part of Bavaria, and is called “Upper” because it is higher above sea level than the rest of Bavaria. The area includes the capital city of Munich (München) and some of the sights and events that Bavaria is most known for such as King Ludwig’s fairy tale castles and the Oktoberfest celebration. Since Bavaria is Germany’s largest state comprising 20% of its total area and is the second most populous state, I wonder why there are not more Bavarian geneabloggers. Surely there are more people tracing their Bavarian ancestry! 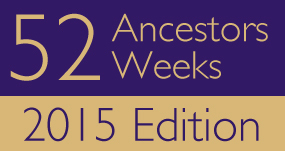 For more information on researching your Bavarian ancestors, see Bavaria GenWeb or the Genealogy Forum Bavaria. Even though my ancestry is only 1/4 Bavarian, I have fully embraced my Bavarian roots. I love Bavaria and the Bavarian people! Give me lederhosen, weisswurst and pretzels (only if the pretzels are made by my Bergmeister cousins’ bakery), “Mad” Ludwig’s Neuschwanstein castle, and pitcher-size servings of beer any day because I’m Bavarian! 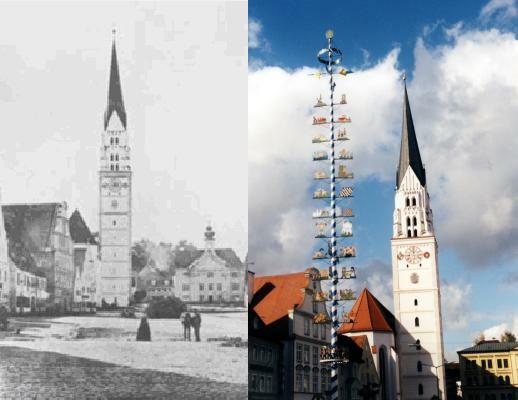 Two views of St. John the Baptist Church in Pfaffenhofen an der Ilm - from 1875 on the left and 1998 on the right. My family’s history in the town of Pfaffenhofen an der Ilm, Oberbayern, Bavaria, Germany, goes back several hundred years. While that’s a long way back with regard to genealogical research, the town itself is much older than my family’s history recorded in its church registers. Pfaffenhofen was officially recorded as a town in 1438, but earlier chronicles mention the town as far back as 1140. The town’s population expanded significantly over the years, but it also decreased due to events such as plagues and wars. If I could go back in time to visit the town, at least one thing would look the same – the town’s Roman Catholic parish church, St. John the Baptist (Stadtpfarrkirche St. Johannes Baptist), has always resided at one end of the town square. St. John the Baptist Church was originally built in a Romanesque style, but the church – and much of the town – was destroyed in a fire in 1388. In 1393, the church was rebuilt in a Gothic style. 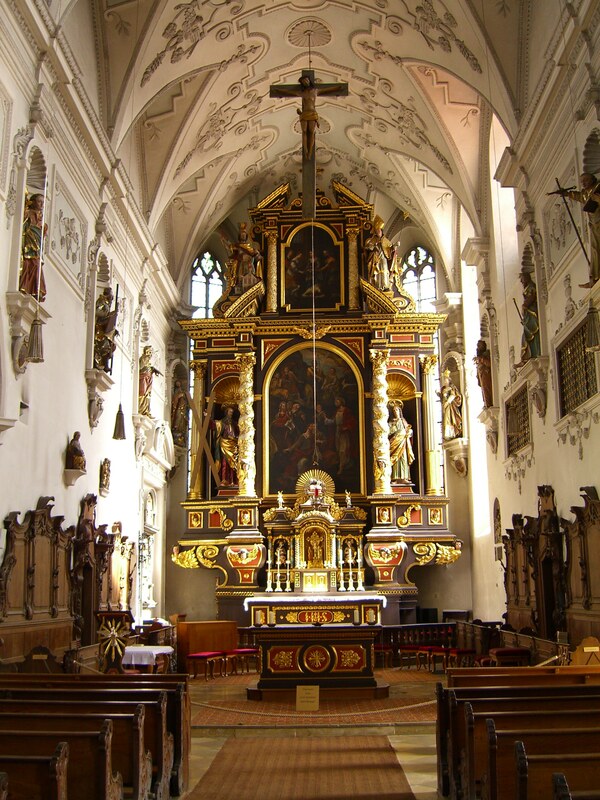 In 1670-72, the interior of the church was renovated into the Baroque style we see today throughout most of Bavaria. The steeple was struck by lightning in 1768 and rebuilt the same year. 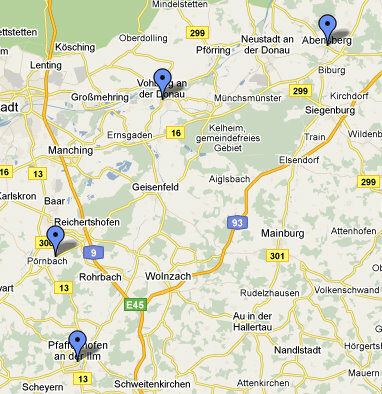 I’ve documented my Pfaffenhofen ancestors back to the 1670s due to the church records of St. John the Baptist. The Echerer (Eggerer), Höck, Nigg, and Paur families worshiped at this church for generations. 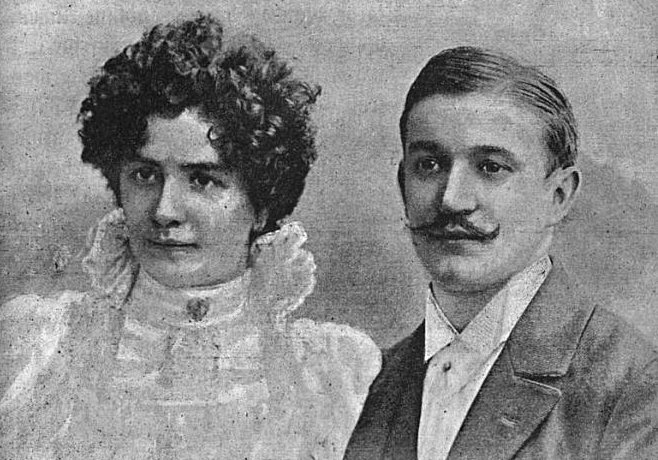 My great-grandparents, Joseph Bergmeister and Maria Echerer, were married here in 1897 and baptized their first child, Maria Bergmeister, there in 1898. One hundred years later, I became the first descendent to re-visit the church. The interior of St. John the Baptist is very ornate with many paintings and statues, which is typical of the Baroque style and also typical of Bavarian Catholic churches. Some might call Baroque churches ostentatious, but the style is meant to be dramatic in order to have an emotional effect. What was emotional for me, however, was knowing that my ancestors worshiped in that very place so many years ago. Since my Pfaffenhofen ancestors were craftsmen – primarily shoemakers, masons, and carpenters – I liked seeing evidence of the trade guild’s in the church’s interior. Each guild had some church obligations as a part of the guild’s rules. Once a year each guild celebrated their own special Mass, with special times for each guild. For example, the brewers’ Mass was celebrated on Monday after New Year’s while the tailors’ was on the Monday after Easter week. Because of the guilds close association with the church, when the church was remodeled in 1671, the artist Johann Bellandt of Wessobrunn carved a number of statues of the apostles in honor of the guilds: Mathew for the butchers, Phillip for the bakers, John for the brewers, Bartholomew for the leather artisans, Jacob for the weavers, and Simon for the tailors. I did not seem to find an apostle representing my ancestors’ trades though! Who was Josef Bergmeister? How did he die? 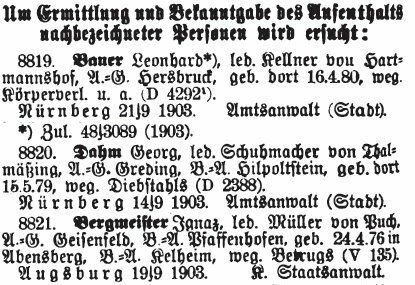 In Part 1 of this series on Bavarian Military Rosters, I discovered an “unknown soldier” in the German Army that was likely related to my great-grandfather of the same name. In Part 2, I presented what the Bavarian Military Personnel Record Books, or Kriegsstammrolle, looked like during World War 1. 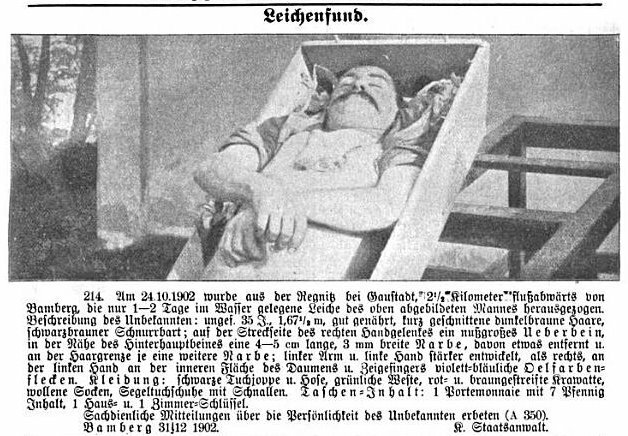 Today we will explore the personnel record of the mysterious Josef Bergmeister – and finally learn the details of his short life and death. 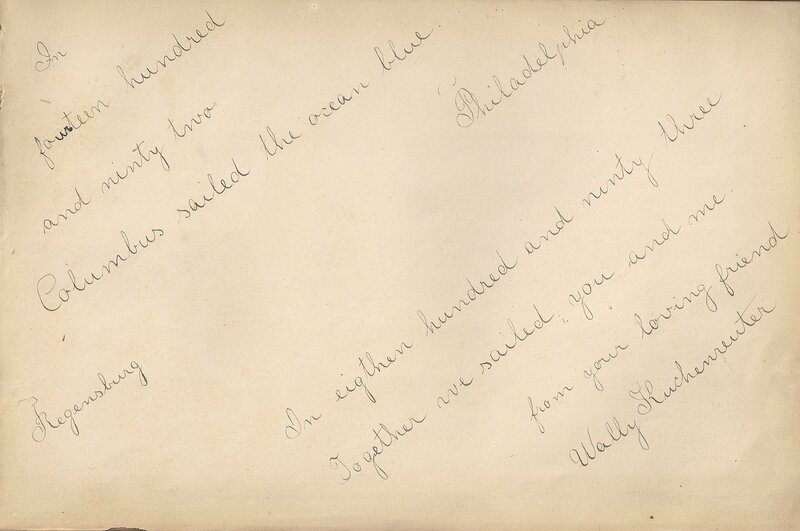 Before transcribing and translating the record, there are some sites will offer other researchers some assistance. First, one must be familiar with German handwriting. The best site I have seen on this topic is How to Read German Handwriting. In addition, it may be useful to become familiar with some German military terms. A good resource is the German-English Military Dictionary, which was compiled by the U.S. military in 1944. 11. Orden, Ehrenzeichen und sonstige Auszeichnungen: ./. Rather than translate the record word for word into English, I will sum up the pertinent details. Josef Bergmeister was born on 19 April 1894 in Puch, Pfaffenhofen, Bavaria to Johann and Therese Bergmeister. He was an “economist” in Puch and single. 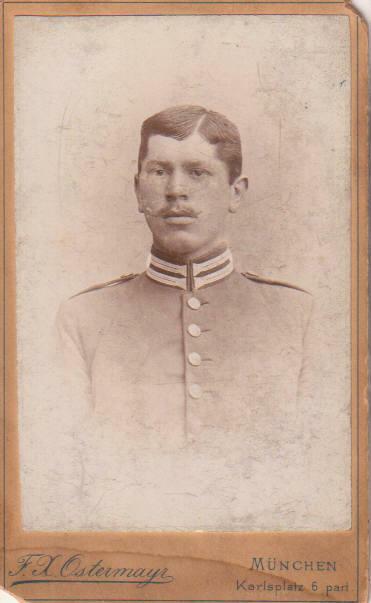 Josef entered the army as a recruit on 01 July 1915. He was originally assigned to the 10th Infantry Regiment as an infantryman, but in November 1915 the regiment was combined with another and became the 11th Infantry Regiment. On 15-18 July 1916 his unit took part in the battles at Fleury and Thiaumont in France. 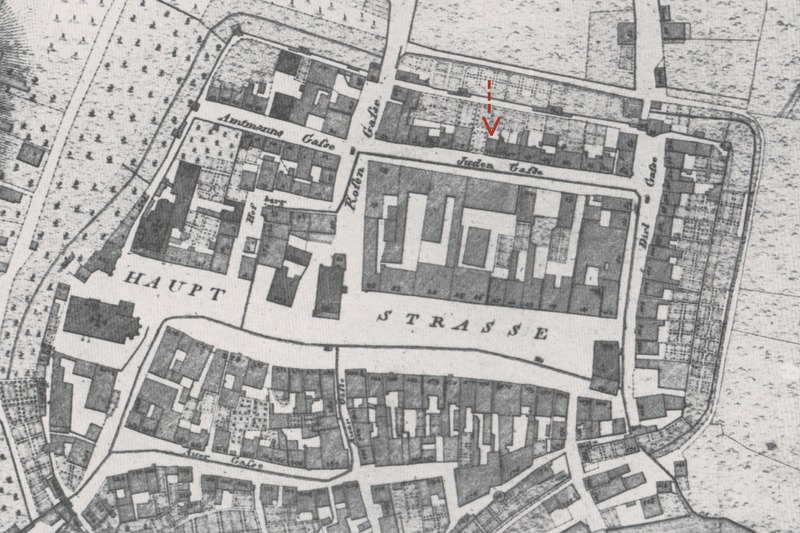 On 18 July, Josef was severely wounded by an artillery shell. He was taken to a field hospital and transferred to another hospital at Pierrepont on 20 July. At 6:15 on 01 August, Josef died. His cause of death is listed as amputation of crushed thigh and gangrene. The following day he was buried in Grave No. 493 at the military cemetery in Pierrepont. He was 22 years old. 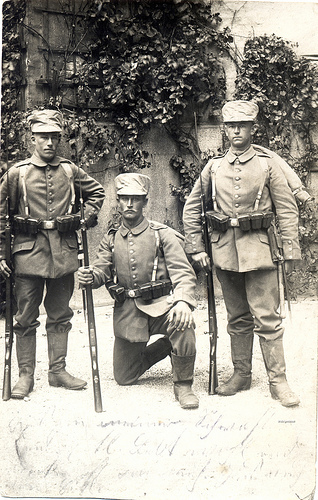 Three Bavarian infantry soldiers in 1914. With this record, I finally knew who Josef was. Before I could connect him to my own Bergmeister family, I wanted to find out more about the battle in which he died. My knowledge of World War I was poor, and now I was curious to learn more. Part 4 will provide more details about this horrific battle which was part of a series of battles between the German and French armies from February through December of 1916 – the Battle of Verdun. 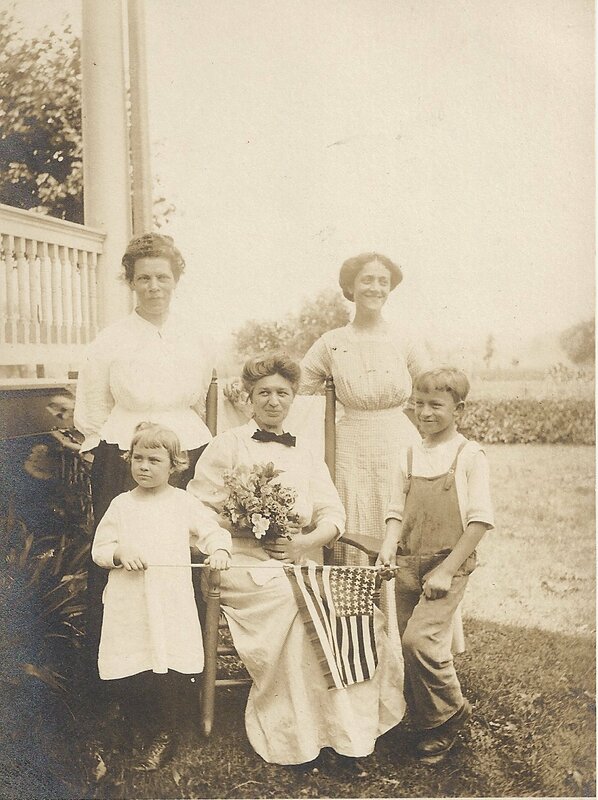 It will also give a glimpse into what life in America was like for German immigrants. Finally, Part 5 will sort out who’s who in the Bergmeister family – how are the “Josefs” related? Many thanks to my cousin (and Josef’s cousin) Armin Bergmeister for the record transcription and help with the translation into English! The Bavarian Military Rosters – What were they? What does it say? In Part 1 – Cousins, Countries, and War – I spoke of the discovery of a German soldier with my great-grandfather’s name – Josef Bergmeister. This particular Josef came from the same town my great-grandfather was born in – were they related? Thanks to a new group of records available on Ancestry.com, I was about to find out. But first, what are these records? What information do they have? And more importantly – what do the German words mean? 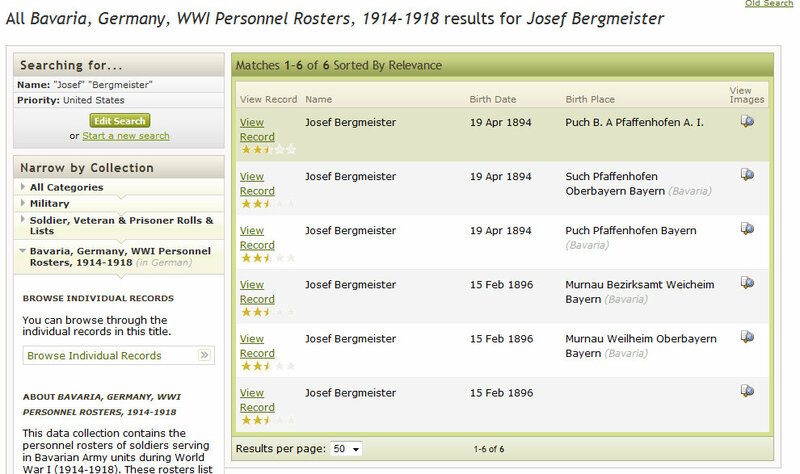 Based on the birth dates and town names, there appear to be records for two different men named Josef Bergmeister. Why are there several records for each? Because these personnel record books, or Kriegstammrolle, were kept for each military unit. If a soldier was transferred to another unit, he was recorded in the personnel records for the new unit as well as the old. In addition, there is a separate roster for the soldiers who died. To get a soldier’s full story, you should look at each of the search results. Fortunately, the personnel rosters seem to follow the same format. Each book has two pages with fifteen columns of information. The following images show the column headings and the English translations. 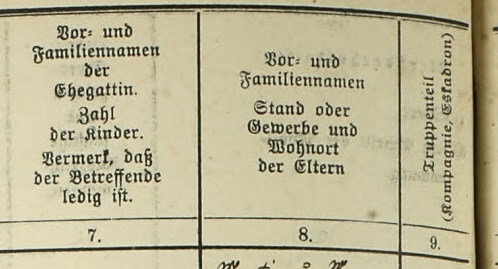 13 – Kommandos und besondere Dienstverhältnisse. Kriegsgefangenschaft. – Commands and Special Service Conditions. Prisoner of War. 14 – Führung. Gerichtliche Bestrafungen Rehabilitierung. – Leadership. Judicial Punishments Rehabilitation. Now that we know what the columns mean, how do we actually read a handwritten record? Coming up in Part 3 we’ll transcribe and translate the service record for Josef Bergmeister. As you can see from the information above, the record will tell us quite about about his life as well as his death. Who was a German soldier who bore my great-grandfather’s name? In 1998, I visited my Bavarian great-grandparents’ town for the first time. I was not well-prepared to do any genealogical research because the trip came about as a convenient accident, not through careful planning. While I was in the general area for work-related travel, I knew I had to make a detour to their town, Pfaffenhofen an der Ilm. 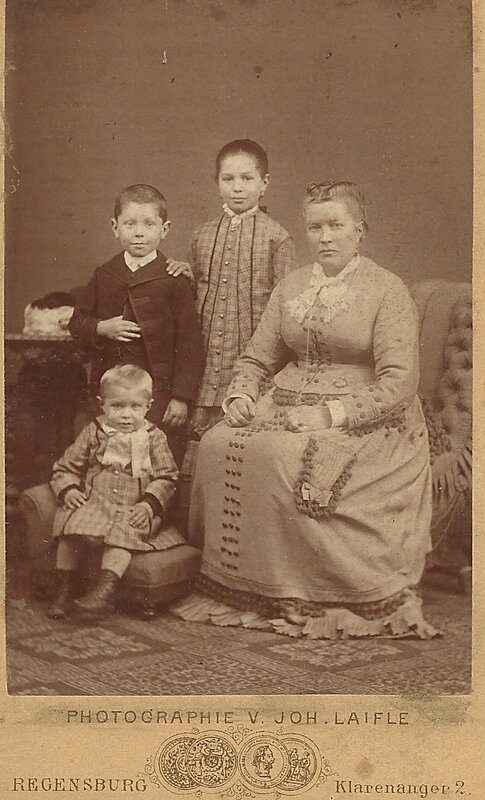 Back then, I hadn’t traced either family too far back, but through my great-grandparents’ marriage record I knew that he, Josef Bergmeister, was from the nearby town of Puch, and she, Maria Echerer, was from Pfaffenhofen. Some friends from a different region of Germany met me there – they thought it would be an amusing weekend trip to visit a “foreign” area of their own country and see their American friend. One joked about this tiny town they drove through called Puch. “Wait,” I said, “that’s my great-grandfather’s town! Can you show it to me?” They said yes, but assured me that it was so tiny, there wasn’t much to see. 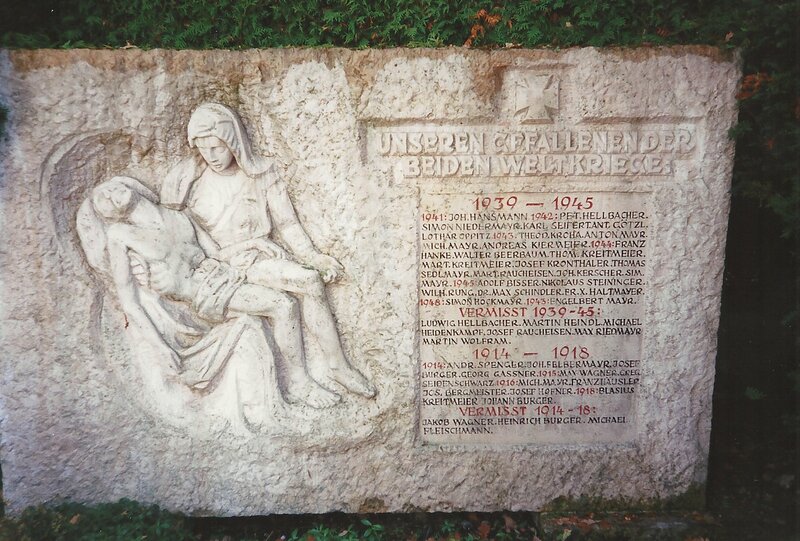 Memorial in Puch, Bavaria, Germany to the dead and missing soldiers from both world wars. Who is this Josef Bergmeister? We had stopped directly in front of a war memorial – every European town, no matter how small or large, has one. On this particular monument to the sons of Puch who perished in the world wars, I noticed a familiar name – Josef Bergmeister, who died in 1916. Another Josef Bergmeister from Puch? Surely it was a cousin, or perhaps a nephew! I took a photo of the monument and knew I’d find the answer one day. It remained a mystery. I could have looked further into birth and death records to find the answer, but the records available from the Family History Center ended in 1900 and I did not write to the church or town directly for more information. Josef remained my own personal “unknown soldier” – until now. Recently Ancestry.com added a new set of records to their growing international collection – the Bavaria, Germany, WWI Personnel Rosters, 1914-1918. While my direct ancestors immigrated to the United States more than a decade before the first world war, I was able to find out significant information about the lives and deaths of the cousins they left behind. Part 2 – The Bavarian Military Rosters – What were they? How do I read one? 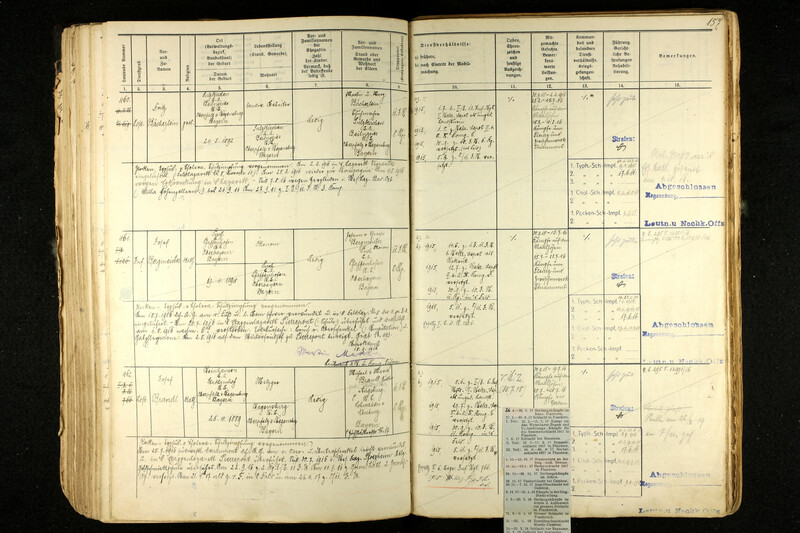 Part 3 – Josef Bergmeister’s WWI Military Record – Who was Josef Bergmeister? How did he die? Part 4 – The Great War and the Homefront – What happened at the battle that cost Josef his life? How were his American cousins affected by the same war? 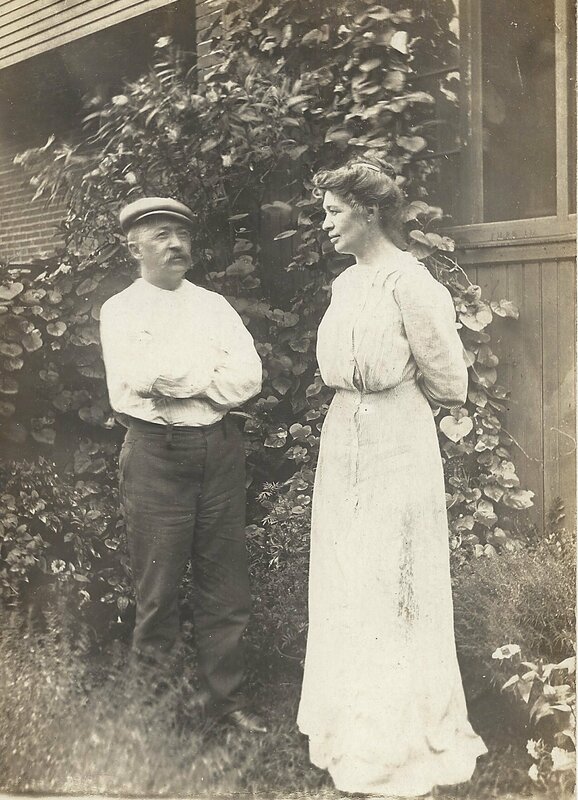 Part 5 – The Bergmeister Family Tree – How is Josef related to “my” Josef Bergmeister?